Please RSVP to let us know you will be there! VENUE: Federal Way Senior Center, Federal Way, Washington. 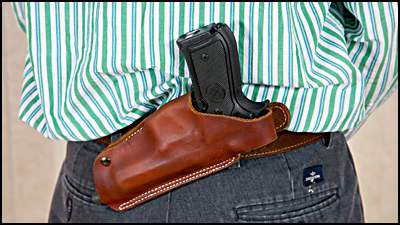 Concealed handgun carry is legal in all 50 States. There’s a good reason for that: State lawmakers know that concealed carry prevents crime. Find out more by attending ADTA’s FREE “Concealed Carry” workshops. Carrying a gun lets you react to a life-threatening situation in seconds, rather than having to wait minutes for help. ADTA Range Safety Officers (RSOs) will be present to check you in at the door. If you are a concealed pistol license holder, you are of course welcome to do so responsibly at our events. At most of our workshops we encourage our attendees to actively participate in exercises or scenarios. For everyone's safety, we require that active workshop participants not be carrying a loaded firearm. For everyone's safety, handling of firearms is not permitted during ADTA workshop events except by the supervised, specific direction of an ADTA official. Our ADTA Range Safety Officers will be present to help all attendees unload and clear any firearms prior to participating. If you are participating in the workshop, you may also secure and lock your own firearm in your vehicle prior to entering the workshop venue. This protocol must be followed for everyone's safety. Have a question about ADTA membership, events, or activities? Many ADTA members are available both before and after the presentation to help. Just look for our members wearing ADTA hats and shirts.